Coherent provide GSM Gateways and other specialist solutions for metering and telemetry applications. Gateways provide an always-connectable, transparent link for connected devices to communicate with remote servers over the cellular (GSM) networks. 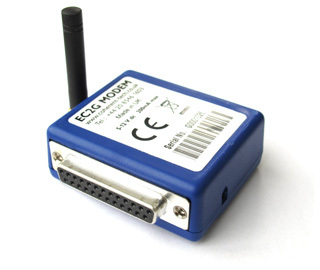 The Coherent EC2G v2 is a industrial Low Power Cellular Gateway with Serial interface in a compact housing. The device integrates all necessary functionality to automatically create outgoing and accept incoming IP and Circuit Switched Data connections. With very low power consumption the EC2G is particularly suitable for battery and renewable energy powered applications. 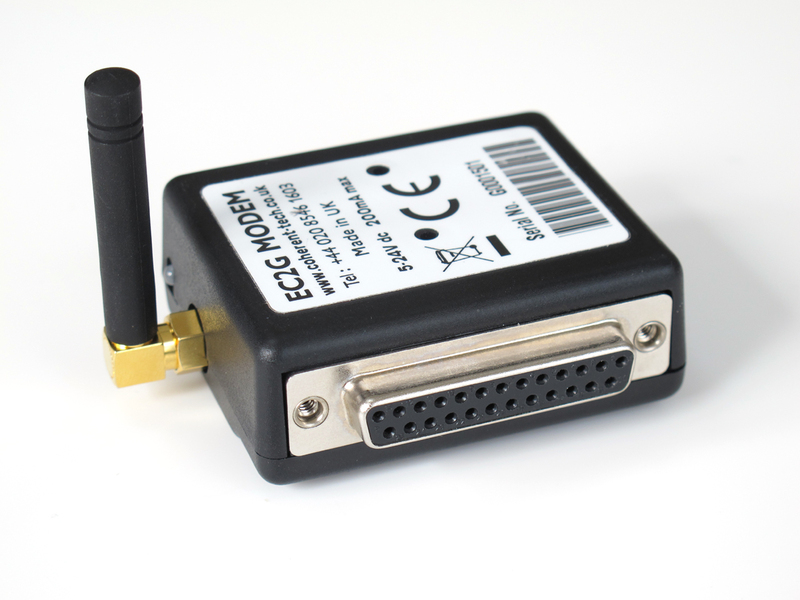 Once configured the EC2G requires no intervention from a host device and operates autonomously as an intelligent GSM Gateway for connected equipment. Additional features can be configured to support legacy equipment and smooth the migration from using CSD to IP connectivity. The EC2G is intended for high reliability remote monitoring applications, operating 24/7/ It is designed for operation over the industrial temperature range. Power Supply Input voltage range: 5 to 24 V D.C. Remote Telnet access via IP connection or CSD call. 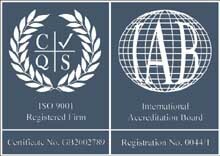 Fully certified for UK and EU deployment. 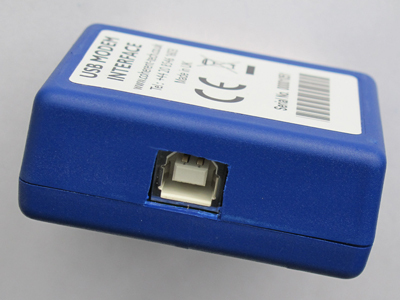 The Coherent USB Modem Interface adapter provides a simple and fast to use solution for interfacing EC2G Gateways to a PC. The adapter connects to a USB port on the PC and supplies both power and Serial Communications to the EC2G (USB to Serial interface conversion). Only a suitable USB cable is required to connect the adapter to the PC USB port. USB device drivers for may be required (FTDI) for the PC operating system. These are available from FTDI. 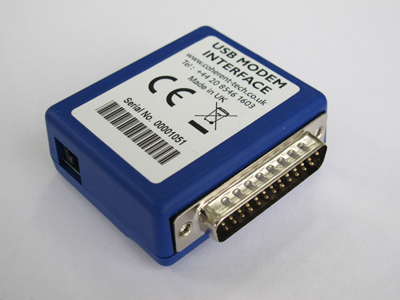 Once the drivers are installed and the USB Modem Interface connected to the PC the drivers create a Virtual COM port in the PC OS which can be used for Terminal Emulators and other software. 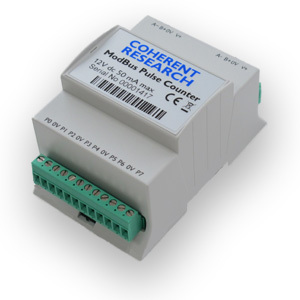 The Coherent Modbus Pulse Counter is an innovative device for metering applications where a record of pulse count data needs to be kept from multiple meters. The device has 8 pulse-count input channels which can be connected to meters over more than 250 meters of cable. Pulses from the connected meters are counted, sorted into interval data and buffered in the internal flash memory for retrieval via the Modbus interface. In the event of a power failure an internal rechargeable Lithium-Ion battery continues to operate the device for up to 500 Hours, reading and storing pulses as configured so that no readings or data are lost. The device is intended for high reliability applications, operating 24/7. Once configured the Modbus Pulse Counter operates autonomously recording pulse counts periodically ready for reading over the RS485 interface. Power Supply Input voltage: 12 V D.C.